India’s plummeting data prices have hit a new low. In fact, according to a recent BBC report, the country has the cheapest mobile broadband prices in the world. Technology writer PRASANTO K ROY explains how this happened. The BBC report, citing a UK-based price comparison site, said that 1 gigabyte (GB) of mobile data cost $0.26 in India (£0.20), compared with $12.37 in the United States (US), $6.66 in the United Kingdom (UK), and a global average of $8.53. Sourav Sen, a consultant with an investment firm in London, said he pays the price of three to four cups of coffee a month, or $13, for his mobile service. That gives unlimited UK voice and texts, with European Union roaming for voice and up to 3GB of data. He doesn’t need more, because of free WiFi everywhere. The UK has some cheaper plans, but ubiquitous free WiFi makes real comparisons with Asia difficult. Sen also points out that when he is visiting India, he is offered data at almost $6.62 per megabyte (MB), which is a staggering $6,779 per GB – and about 70,000 times more than what locals pay for data. Far away in Gurgaon, a suburb of capital Delhi, Ramnath Mandal, employed as a driver, pays less than $3 a month for unlimited free calls. With that he gets 42GB of 4G data, at 1.5GB a day, which he uses for viewing videos and for WhatsApp calls to his family and friends in the state of Bihar. That’s less than 6 cents per GB – 70 times cheaper than what Sen pays for his 4G data in London. 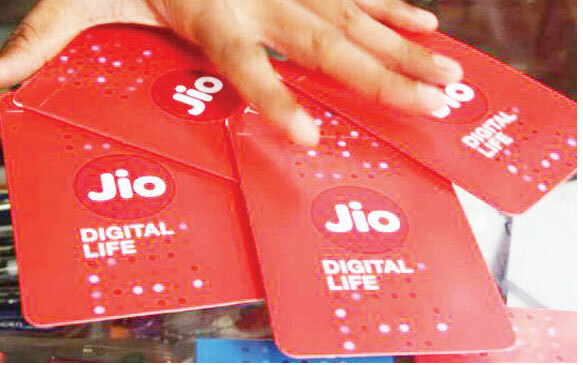 Mandal’s service provider is Reliance Jio, a young telecom operator that has shaken up the Indian market with cheap, high-speed mobile data and free calls. Jio launched in September 2016 with an aggressive free trial offer, picking up 100 million customers in just six months. The 4G-only high-speed data uses spectrum suited to data, for voice as well as data. India had more than 500m mobile broadband subscriptions at the end of December 2018, according to India’s telecom regulator Trai, but just 18m wired broadband subscriptions. Of the 1.17bn mobile subscriptions in the country, 55 percent of them are in urban areas. The big jump in broadband usage, all of it on mobiles, came mostly from Jio. Clearly, Jio has driven data prices down sharply in India. Can the market sustain these prices? Industry analysts say Jio is subsidising its service to get customers—and squeeze out competitors. There were 10 telecom operators when Jio launched: now there are just four. Low tariffs are purely the result of hyper-competition resulting in a huge “consumer surplus” —when consumers pay prices much lower than what they are willing to pay—according to Rajan Mathews, head of the Cellular Operators Association of India. Mukesh Ambani, chairman of Reliance Industries, however, has said that Jio’s network has plenty of room for growth, with only a fifth of its capacity utilised. 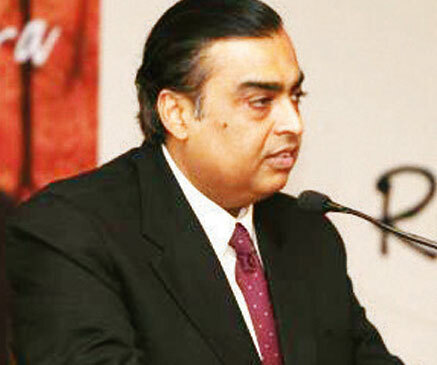 “We can multiply our customer base without additional investment,” he said, speaking at the company’s annual general meeting last July, when Jio had 215 million customers. And although nearly 100 million users were drawn in by Jio’s prolonged free trial offer, Jio’s customers are now spending more than other operators’ customers. Jio reports 30 percent higher than average revenue per user of almost $2. And so the drivers, cooks, migrants, students, and many blue and white-collar workers watching and sharing videos have driven up India’s average mobile data consumption 10 times in two years, to more than 10GB per user per month, roughly the same as in the US.